Presenting the ultimate gift idea for gin & tonic lovers. 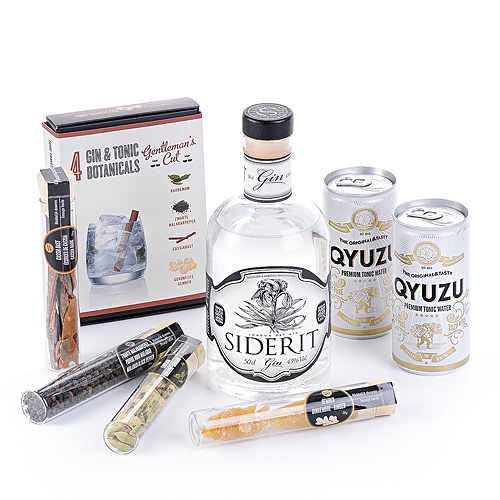 A bottle of Siderit Gin from Spain, Qyuzu Premium Tonic Water, and Food Travellers Gin & Tonic Botanicals are elegantly presented in a luxury white gift box. 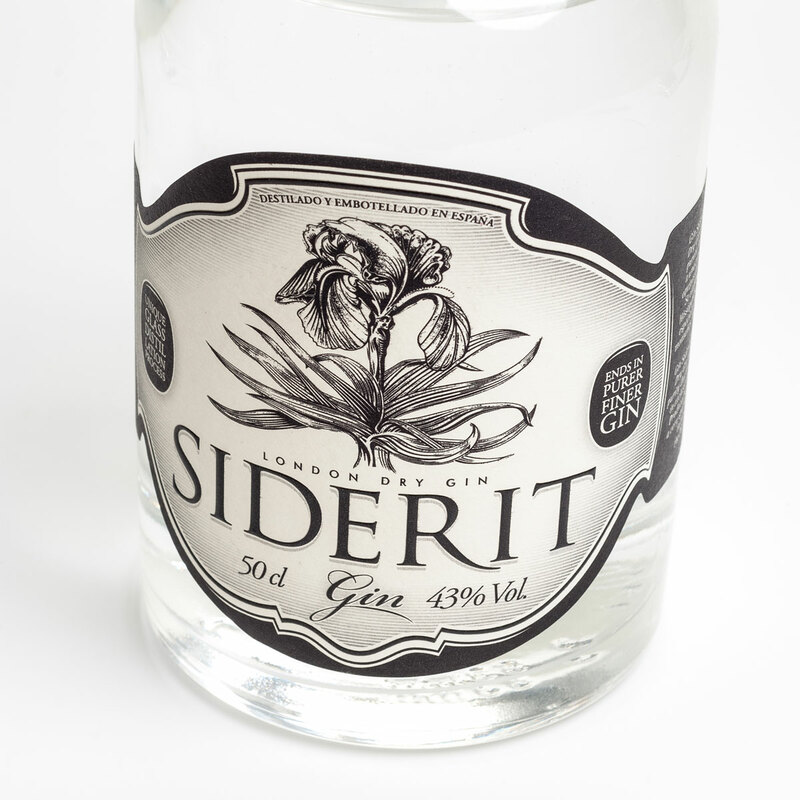 Siderit London Dry Gin is made in very small batches (25 litres at a time) and distilled in a fractional distillation column made entirely of borosilicate glass. The 12 botanicals include sideritis hyssopifolia, from which it takes its name, as well as juniper, coriander, cardamom, rock tea, angelica root, cinnamon, orange peel, hibiscus, pink pepper, almond, and orris root. This well rounded gin is very drinkable and a pleasure to enjoy with a fizzy glass of tonic for the perfect G&T. Mix up your mixed drinks with the Food Travellers Gin & Tonic Botanicals, four vials of botanicals to add to drinks. 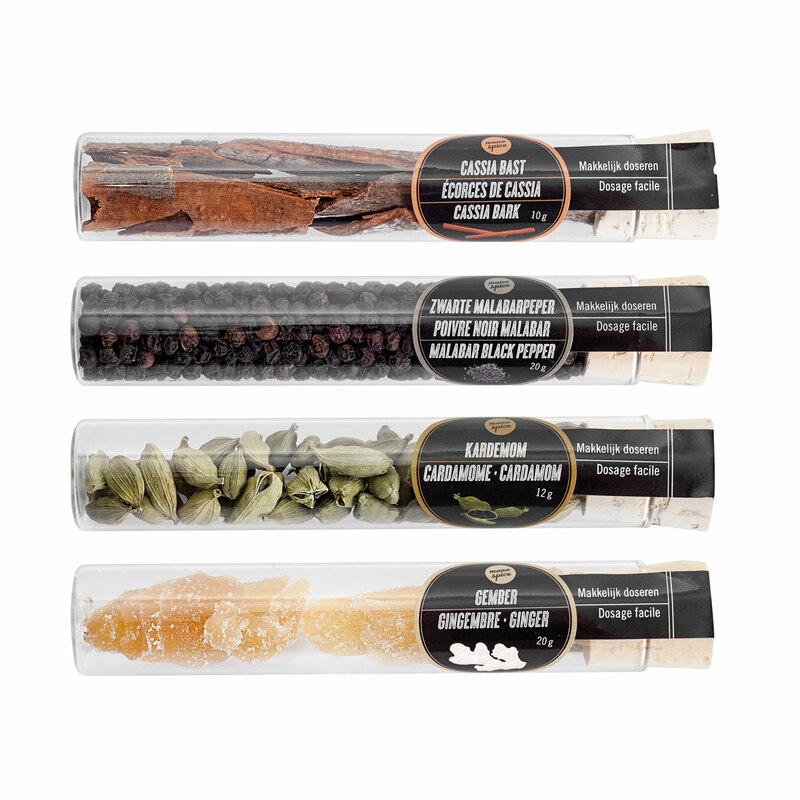 The Gentleman's Cut collection includes cassia bark, Malabar black pepper, cardamom, and ginger. Experiment with each botanical individually or use in combination to create a harmonious, custom cocktail.